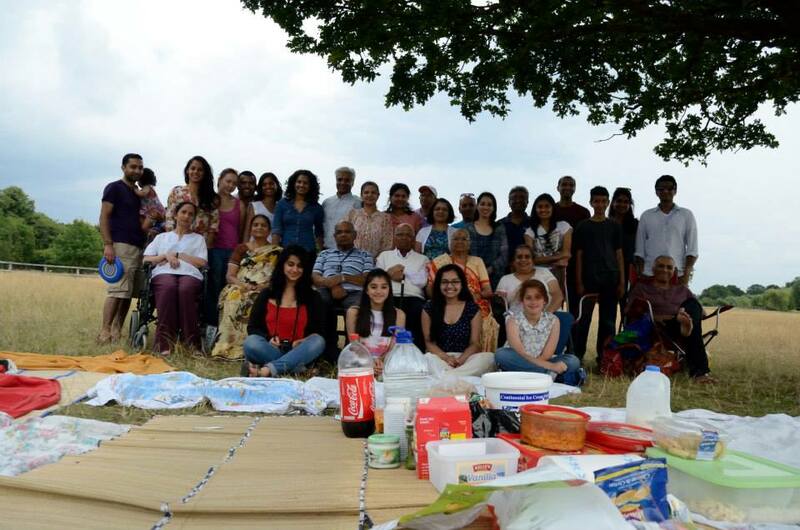 The weather was truly on our side on Sunday 20th July as Vanza friends and family gathered in Richmond Park. After spending the week avidly checking weather reports hoping that Sunday’s predicted thunderstorms would move to Monday, we were relieved to have caught a break and had sunshine and a mild afternoon. As the afternoon drew on and appetites had been worked up, there was one more thing to do before sitting down for the picnic: the VCSL original potato-and-spoon race. This year however, we had a new adaptation to the game that caused quite the stir- onions. Three races later with varying degrees of cheating (you know who you are!) and/or dropped veg, it was finally time for food. We had a delicious assortment of mouth-watering foods from traditional English picnic sandwiches to hot and spicy bhajias to flavoursome egg less banana muffins – there was something to everyone’s taste and enough food to satisfy everyone’s appetite. As people enjoyed platefuls of food they had a chance to catch up with friends and family and have that overdue gossip! The whole afternoon was incredibly relaxed and we all went home having thoroughly enjoyed ourselves. As I already mentioned, we were really lucky with the weather; as soon as we left the park, the heavens opened and it started raining – a typical English summer’s day. We hope that next year’s picnic will be just as successful and the company just as good!